We have provided more than 70 workshops on AniCare®, our treatment model for people who have abused animals, to over 1,200 participants in 24 states and territories. 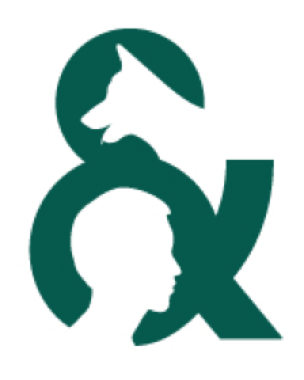 We cosponsored an annual fellowship program for Human-Animal Studies (HAS) scholars from 2007-2016; now we cosponsor an annual summer institute for graduate students and early career professionals. We have offered these unique opportunities to about 100 scholars who have become leaders in the field. We sponsor the International Development Program Award, helping universities outside of the U.S. to build HAS programs that would not exist without our support. ASI’s two journals, Society & Animals (S&A) and the Journal of Applied Animal Welfare Science, (JAAWS), offer in-depth articles that examine society’s complex relationship with animals. ASI has compiled a list of more than 350 courses and degree programs worldwide in HAS. Under a grant from the Kenneth A. Scott Charitable Trust, our work in Columbus, Ohio and Chicago, Illinois provided professionals in key systems—particularly the judicial, public health, and mental health systems—with information and resources needed to identify and intervene in cases of animal abuse. Of particular note are systemic changes that resulted from work under this grant, including the inclusion of questions about animal abuse in the mental health intake protocol used by Cook County Juvenile Probation and Court Services. Through the Safe Start Initiative and as a result of our work in Chicago, the welfare of animals is embedded in efforts to prevent violence of all kinds in the city. Under a grant from the Shumaker Family Foundation, we provided hands-on technical assistance, including help with strategic planning, to KC-CAN, a coalition of animal advocates, human service professionals and other community members that is dedicated to raising awareness of the relationship between animal abuse and other types of violence, and making Kansas City a safer community for all. ASI offers a Scholar Page on our website where scholars can post their research interests, load their CV and publications, and network with other scholars. In conjunction with Brill, ASI publishes the Human-Animal Studies Book Series, which explores the relationship between humans and nonhumans in a range of settings, contemporary or historical, from the perspective of various disciplines within the social sciences and humanities.